Ahhh Lake Merritt, the lake of a thousand smells. 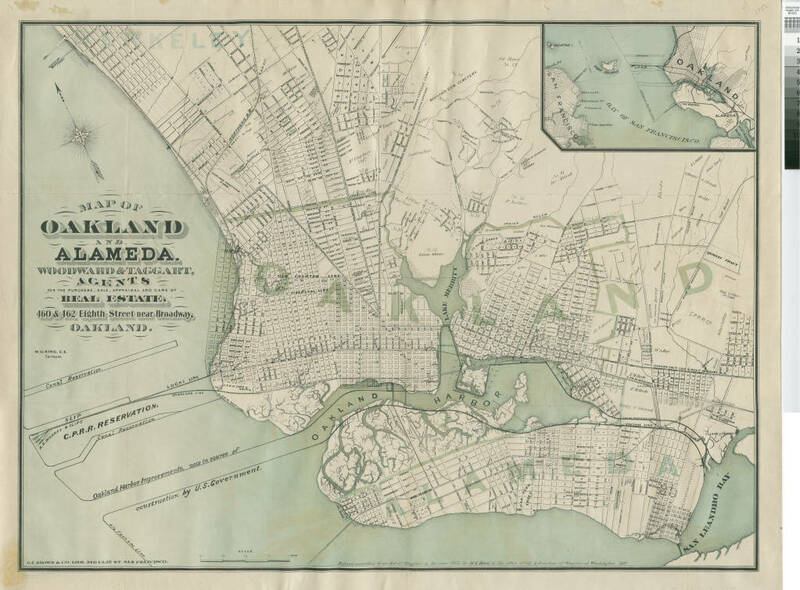 I’ve heard a lot of rumors regarding Oakland’s Lake Merritt and it’s origins. 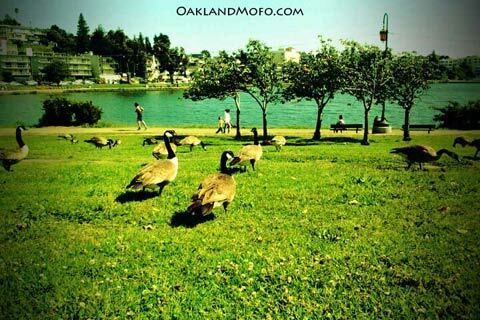 So I decided to write this article about the history and facts of Lake Merritt. I hope this article helps spread some proper and informative information for all. 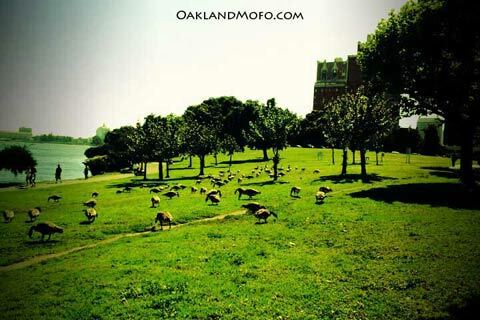 Please share with fellow Oaklander’s. 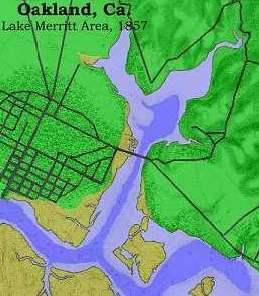 Is Lake Merritt Man Made? 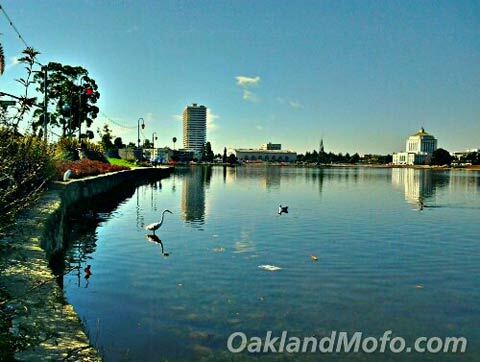 For one, I often hear that Lake Merritt is a man made lake, as if it never were. Truth is it is not even really a lake when you get all technical. It is a natural salt water tidal lagoon connected to the Oakland / Alameda Estuary. So that means the Bay and yes the Pacific Ocean. You can actually see the tide come in and out under the 12th street bridge. Yes, this “lake” is actually part of the oceans tide. This is why you often see birds all around the bottom of Lake Merritt in the shallow waters by the bridge. They are catching fish coming in and out with the tide. 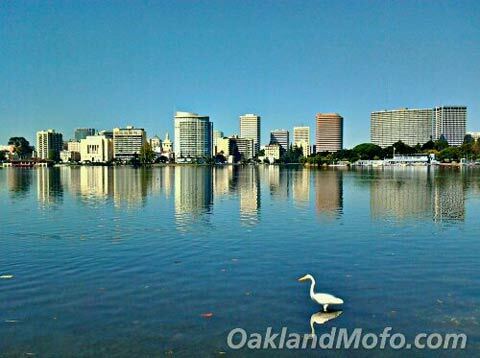 How many miles around Lake Merritt? I keep hearing the lake distance is five miles around from people? It’s only 3.1 miles! Which happens to be 5 kilometers. So maybe that’s why people keep saying five miles? The 3.1 miles is if you take the inner foot path and do the whole lake. But if you cheat and take the sidewalk and skip parts it’s only 2.7 miles. Either way, it’s a beautiful walk and I do it all the time. Nothing beats the Taco Truck, a beer and the Lake for sunset. Ghetto Gourmet. 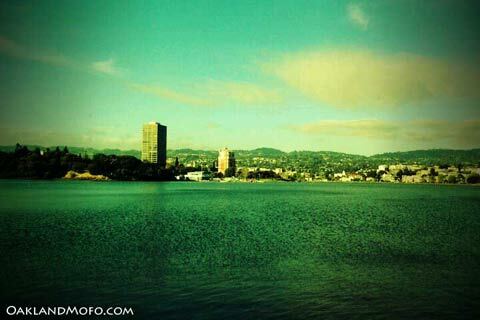 How long does it take to walk Lake Merritt? Well at 3.1 miles long and the average human walking 3 to 4 miles per hour it would take 45 minutes to an hour. But you should give yourself more time to walk around Lake Merritt because you’re going to want to soak it all in, sit on a bench or two, people watch, lay in the grass, etc. 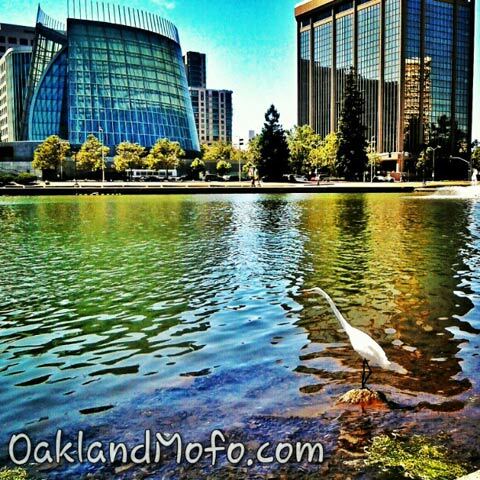 Lake Merritt is also an outlet for 5 or more fresh water creeks running through Oakland and for 62 storm drains. The creeks include the Park Boulevard Creek, Indian Gultch Trestle Glen Creek, Wildwood Creek, Pleasant Valley Creek, Glen Echo Creek and a few other small ones. Here is a Black Crowned Night Heron at Lake Merritt. An amazing sunset on Lakeshore Ave near El Embarcadero. Lakeshore Ave near East 18th Ave looking towards the Alameda County Court House. Pictured is a Crane. 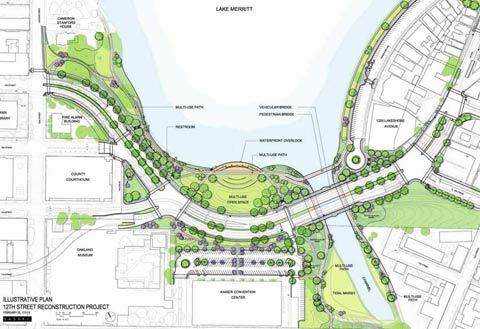 This is the new Lake Merritt bridge you can walk over on 14th Ave.
Another thing no one seems to know is that Lake Merritt is the nations very first declared Wildlife Refuge. 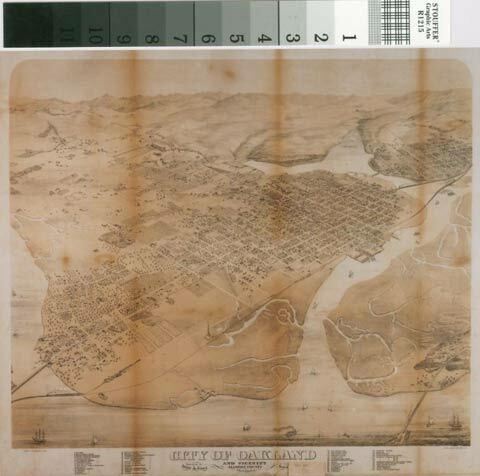 Declared by Dr. Samuel Merritt himself when he was mayor of Oakland back in 1869 and it was approved in 1870. Today the Bird Sanctuary is just the 5 man made bird islands which began construction in 1925. 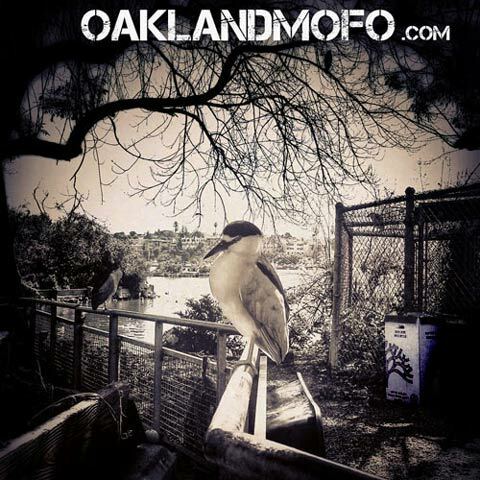 It’s kind of neat that we have the Nations first wildlife refugee right here in Oakland. Cool! As of 1963 it is registered as a national historic landmark. Actually while doing research for this article I have become slightly confused. Is it the FIRST or just the last standing / oldest? Can anyone help with this? I was always taught it was the first. The gov site says Florida in 1903, so yes we would be first but they don’t even have us listed? 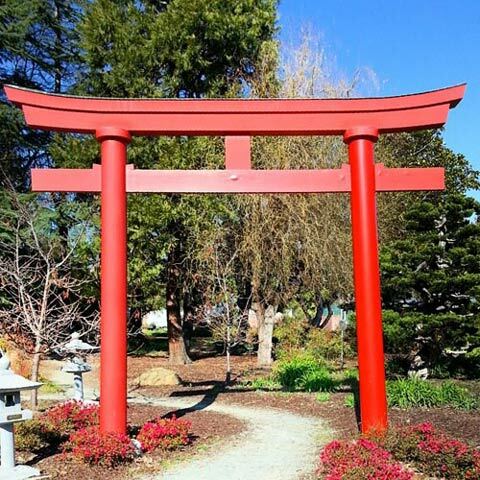 To learn more about Lake Merritt and it’s wildlife you can visit the Nature Center in Lakeside Park near the Bird Sanctuary. Here is a Great Egret, one of the many birds of Lake Merritt hanging out on the Grand Ave side by the Cathedral of Christ The Light. The lake is home to many types of birds including but not limited to the Black Crowned Night Heron, Great Blue Herons, California Brown Pelicans as well as White Pelicans, Mallard Ducks, Cormorants, Snowy Egrets, Great Egrets, Cranes, Forester Terns, Canadian Geese, Coots and many more! With the wildlife refuge it is truly a home to many kinds of species. Lucky for me growing up here and my mom being a bird watcher I got to learn them all as a kid. I know everyone hates the Canadian Geese, me included because they crap and get feathers everywhere. But did you know the year round population is only about 140? With a surge in the summer to 2,000. I thought there were way more than that. Some of my cell phone pics. A White Pelican hanging out on the Lake with The Essex in the background. 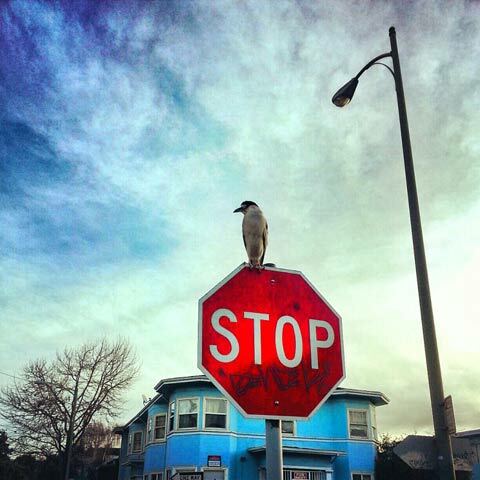 This gangster is a Black Crowned Night Heron hanging out on Foothill Blvd a few blocks from the Lake. This Great Egret was snapped at the same location as the Pelican but maybe a year earlier with an older camera phone. These are those Canadian Geese that everyone dislike so much. This is from the Grand Ave side looking out towards the Cleavland Cascade. More Lake Merritt Geese over by the big orange Gothic looking Bellevue Staten Building. While walking the lake you can also cross the street and visit the Cleveland Cascade, another old Oakland secret. Built in 1923 by Howard Gilkey. Unfortunately this gem was later ignored. It was actually a fountain at one point but they shut it down in the 1950’s and filled it in with dirt. Overtime it became pretty beat up with neglect, however thanks to locals with a passion in 2004 it has been brought back and is now a place for joggers and walkers to hang out. Measure DD actually did allocate some funding to bringing the fountain back to life. It would really be awesome if the water fountains worked again. If you would like to help visit their website. The Necklace of Lights was put up around the lake in 1925. It consist of 126 lamppost and 3,400+ lights. In 1941 during World War II they were shut off for the blackout and remained off for many decades. They were finally brought back to life in 1985. In 2006 they were replaced with a new modern more green lighting system saving the city thousands of dollars. Have you ever wondered what that red orangeish gothic looking building is at the top of the lake? It’s the Bellevue-Staten Building built in 1929 by Herman C. Baumann. 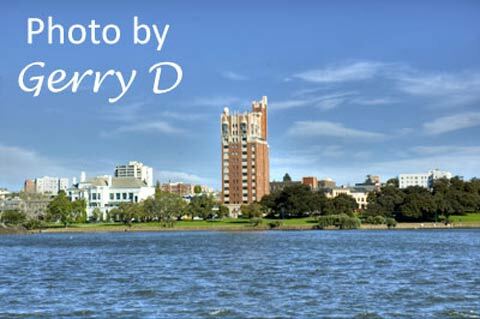 I find it to be a really great addition to the Lake Merritt skyline. It was added to the National Register of Historic Places in 1991. Below is one of my photos of it. 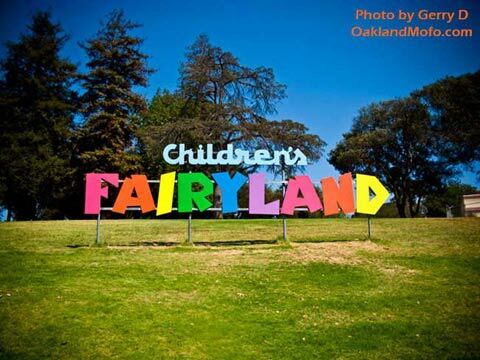 Lake Merritt is also home to Children’s Fairyland which opened 1950. It was sponsored and created by the Lake Merritt Breakfast Club. It is claimed to be the first theme park in the United Sates that catered specifically to families with small children. A great place to take your kids with a fully fairy tale themed park, art installations you can climb on and a key that can bring story tale audio to life. My Dad took my sister and I there a lot as a kid. We sure loved it. If you have children please do them a favor and take them there. Also in that area of Lakeside Park there is the Bonsai Garden. It features some pretty neat old bonsai trees in the garden. They have info to hand you as you walk around so that you can read up on the history of the trees. Some of these are really really cool. Miniature Redwoods and what not. This seems to be a huge secret because not many newcomers know about it. The four semi newly installed fountains are very pretty but also serve a purpose which is aeration of the water. Keeping it moving and cycling helps to prevent it from becoming stagnate, oxygen deprived and smelly. That is another added benefit to Measure DD. Opening the waterway wider will allow for more tide to roll in and out keeping the water moving and fresh which should in return enhance the local micro-climate and habitat for the wild life. Be excited! Lake Merritt also has a restaurant now! 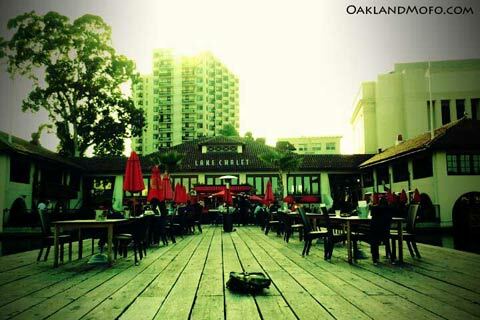 The Lake Chalet Oakland which is a semi new establishment right on the water that I encourage you to check out. They have a deck on the water and great Happy Hours every day from 3pm to 6pm and 9pm to close. The building itself was originally built as a high pressure salt water pumping station for the Oakland Fire Department back in 1909. It has undergone a lot of changes and was closed down for most of my childhood. Reopened in August 2009 for the beautiful Lake Chalet. I myself have never eaten dinner there and heard it is over priced for what it is, however the Happy Hour is very affordable and you have a great view on the water. It is actually the sister restaurant of the Beach Chalet in San Francisco near Ocean Beach. I say you must try their specialty beers such as the Lake IPA. Taco Tuesdays are my favorite. You can also take gondola rides from the dock out on the lake! The Boating Center is actually still active and they do rent paddle boats and other small crafts. I did this a lot as a kid but have not in my adult life. Soon, soon. It’s a great idea, bring some food, have a picnic in the water. Just don’t go swimming! Actually, you can’t. There are no swimming signs at various places around the lake. But the rentals are affordable and from what I can see pretty underused. Maybe most people don’t know about this or they are just like me and keep saying later. Do it! Ever wonder what that big white house on the corner of 14th and Lakeside / Oak st is? It’s the Camron Stanford House, one of the original Victorian mansions built around the lake. 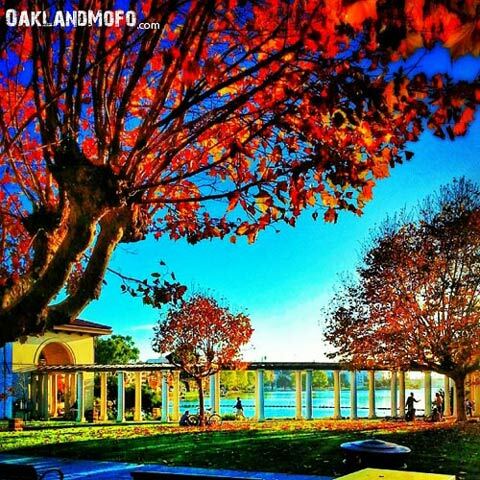 It was later used as the City of Oakland’s Museum and now give tours and cater to events. If you recall back when we were kids Lake Merritt used to host Festival at the Lake. This was such an awesome event for me as a child starting in 1980 and running till 1997. It’s sad but the festival ran into problems when a small riot occurred in 1994. The attendance and funding dropped severely after that year and it was canceled. Luckily now here in Oakland we have so many more festivals that have sprung up over the last decade. We truly do live in an amazing city. Thank you all for being a part of it. 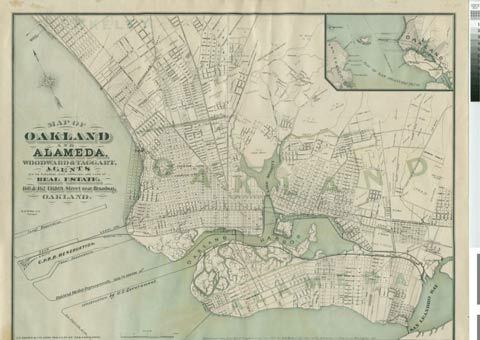 It’s funny to look back at how massively different Oakland is. I went to this with my dad every year but did not realize what a minority we were or how ghetto it was because I was only a kid and Oakland was all I knew. I couldn’t believe they canceled it. But looking at it now as an adult I know nothing good could have ever come from this and it had to be canceled because Oakland was not ready for nice things. You can now walk the lake during a festival and not get stopped or groped by a group of people without common sense and respect for others. 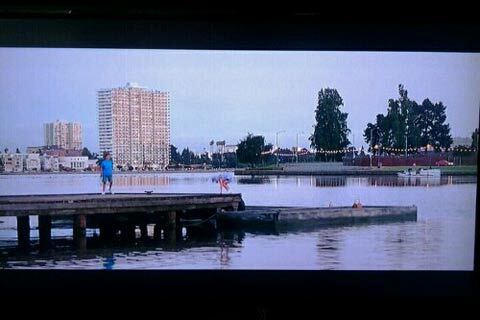 What Dreams May Come staring Robin Williams featured Lake Merritt in the final scene where they agree to meet in their new life. 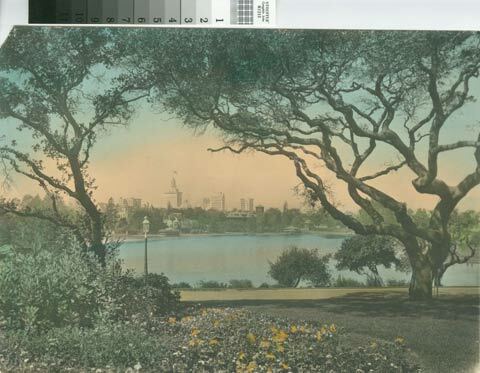 They mention meeting again in New Jersey but the scene is on Lake Merritt before The Essex was built. Well I could not find any information on the fireworks that used to happen at Lake Merritt back when I was a kid. I even emailed the City of Oakland and Jean Quan referred me to someone who I emailed and they referred me to someone else who never responded. Wait to go guys! Maybe I’ll try again sometime but for now just know there used to be a huge firework display at Lake Merritt like Jack London has hosted. 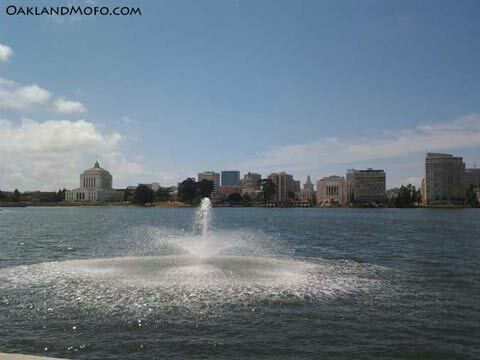 Lake Merritt is not a even lake…. 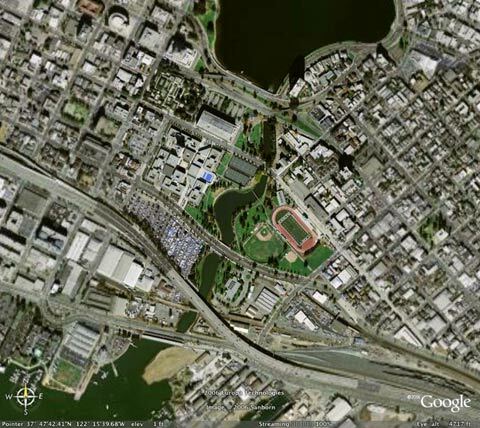 So in conclusion, Lake Merritt’s not even a lake! Just a tidal lagoon with a path around it. But really though, we live in an amazing city full of history and character. I appreciate you all whether you were born and raised here or just got here. 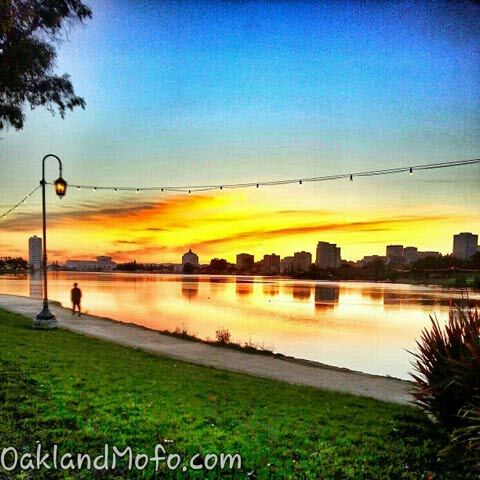 Oakland has grown so much since I was a kid and it is continuing to grow with all the local Oakland love being spread. You guys bring it and help it grow. If you feel there is anything you would like to add to this article please leave a comment bellow. 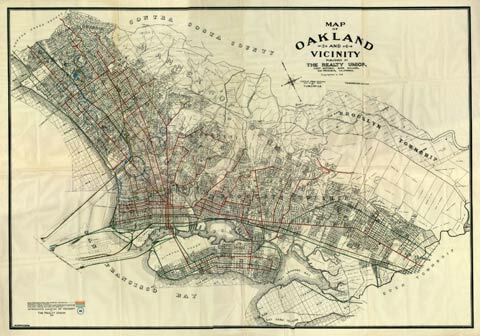 Also please do share this article with your fellow Oaklanders and comment and subscribe. 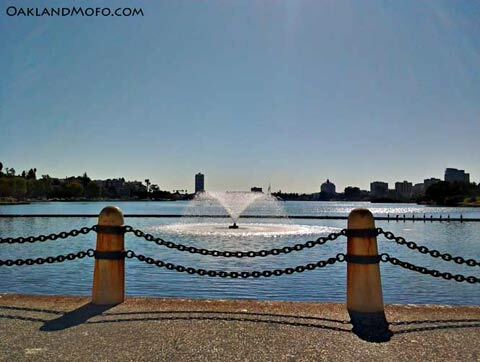 Lake Merritt just underwent a massive beautification project by the name of Measure DD which is part of a larger Waterfront Action. Measure DD was passed in 2002 with a price tag of $198 million dollars. The Lakeshore side has already undergone a massive makeover and does look a lot better than it did a few years ago. The base of the lake where t opens into the Bay is now complete as well and has a great new park for people to hang out in. Presently construction is undergoing on the 10th Street Project which includes widening the channel all the way to the Oakland Alameda estuary. With Measure DD completed it is back to even less of a lake and even more of it’s natural tidal lagoon free tide flowing state. 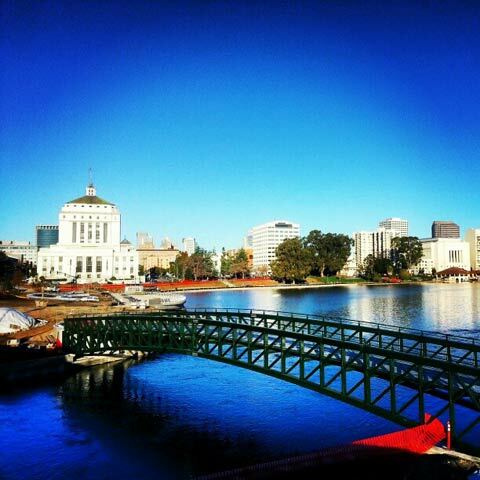 Pretty soon you will be able to take a boat from Lake Merritt to Alameda. You can see the before and after below. I took this video sometime in April 2014 when they were doing construction upstream on 10th St. This massive stream of oil was pouring into the lake at rapid rates and just piling up in a giant tide induced garbage patch. Disgusting. 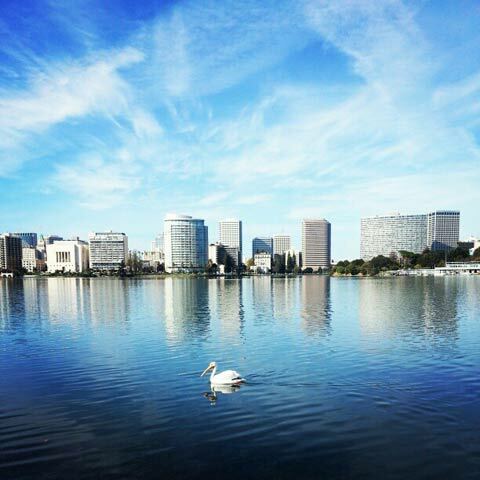 Lake Merritt: A Love Story. 1857: Open to the estuary, full on salt water tidal lagoon. 2006: Dam in place but still water flowing in and out from the estuary making it a salt water “lake”. August 2012? : The current Measure DD project’s projected outcome. I like. They were actually really accurate with these artist renditions now that the construction is done. 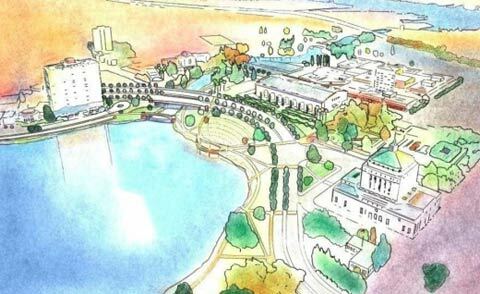 Lake Merritt aerial design concept. So as you can see the tide comes in and exits at the foot of the Lake on the Henry J. Kaiser side. You can actually stand there and watch the local bird wild life fishing as the tide comes in or goes out. It’s pretty neat.